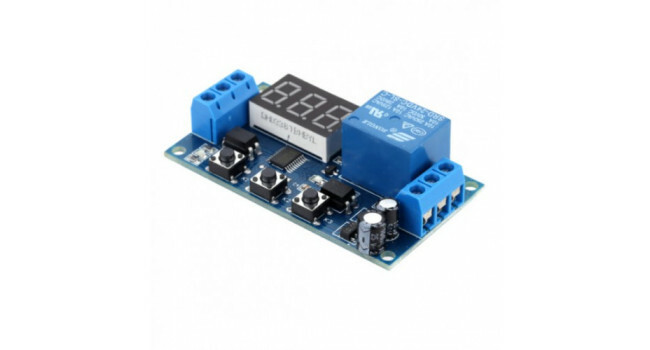 This is a very handy programmable timer module with 4 different programmable modes. The 3 digit display show the countdown. Small, compact and easy to setup. Opto Isolated on Trigger Input and Relay driver stage. After Power ON, press Function key K1 for 2 seconds. P-1: On Trigger, the relay close and countdown timer start, when time is up, the relay open. 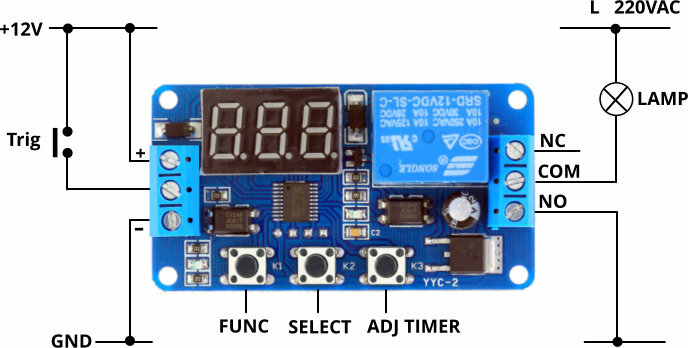 2.There are 2 groups of time in P-2 and P-3, users need to adjust the time; press K2 6 times for a cycle, the first 3 times for adjusting one, and the last 3 times for the other(blue indicator on: setting time for relay-close; indicator off: setting time for relay-open). 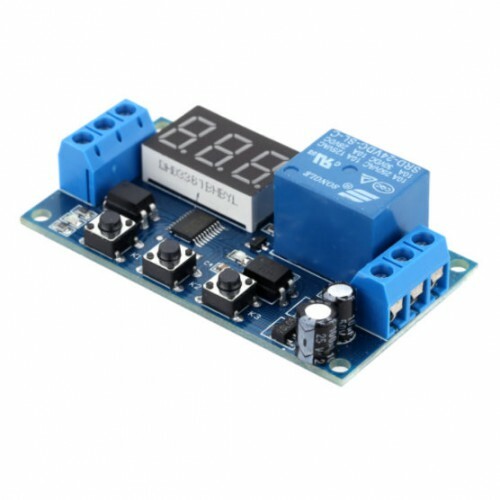 Battery charger module Battery charger module with display Application Fields:for 3.7-120V lithium battery or storage battery Quick Specs Input Voltage:AC 220V Display Precision:0.1.. Dot Matrix Display 32X8 - Max7219 Driver When you need some help driving a lot of LEDs, the MAX7219 is the best friend. The annoying thing about multiplexing is that you need to constantly refresh ..